The Panasonic GH4 is a new generation mirrorless camera, capable of incredibly high quality images in a small, lightweight unit. 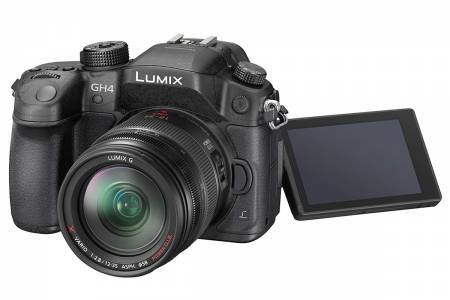 Recording in the .mov format, the GH4 can shoot 1080p 25 at an astonishing 200mbs or up to 96fps at 100mbs. It also has 4K capability.